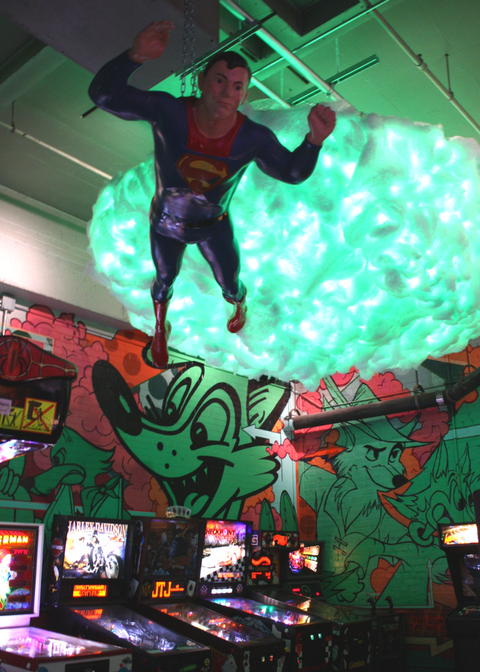 Boardwalk arcade games and mini golf -- what can be a better way to spend a family evening! 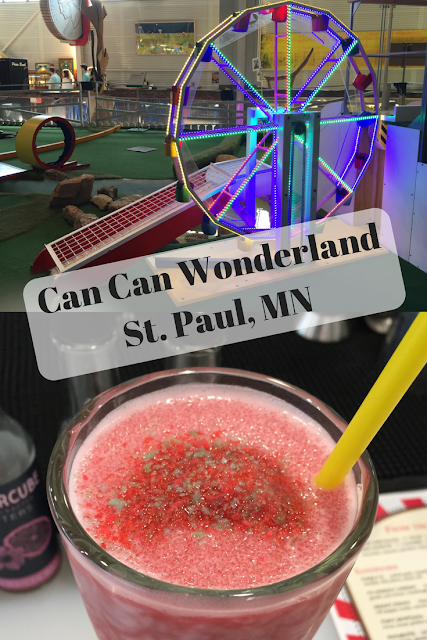 Temperatures were pretty steamy during our visit to Roseville, Minnesota, so we were happy to take some evening time out of the sun at the indoor fun venue of Can Can Wonderland in nearby St. Paul. Wow! What a large quarter! Can Can Wonderland is in the basement of a the old American Can Factory. 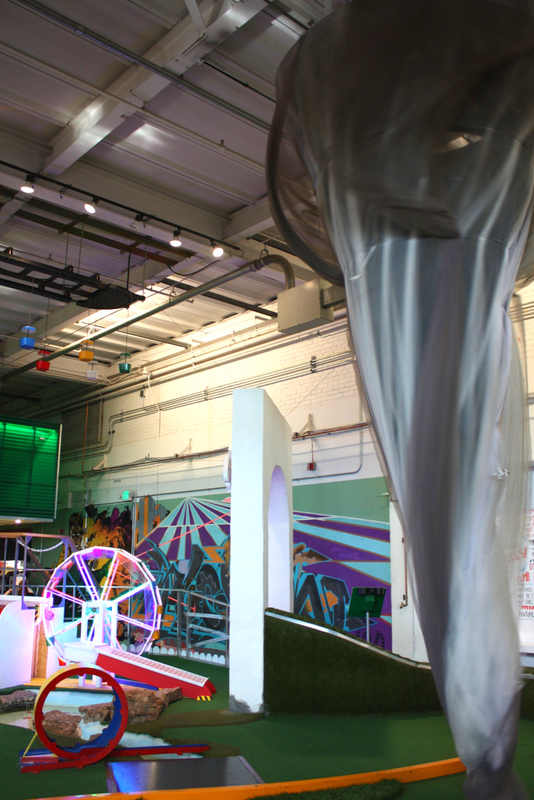 The space has been transformed into a not only a space for boardwalk entertainment but also a space to support the arts. 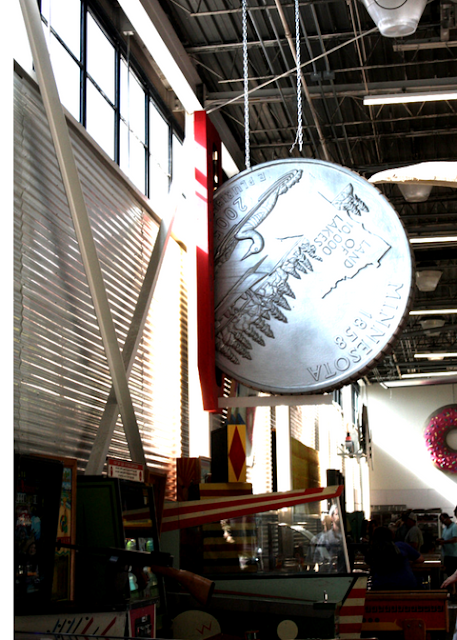 I mean where else would you find a large scale Minnesota quarter? Can Can Wonderland's mini golf course was crafted by local artists and it is INCREDIBLE. Each hole is imaginative and so much fun to play. One of my favorites is a cyclone that actually moves around! How cool! We also LOVED the brilliant ferris wheel! We were successful in giving our golf balls a ride! Later, we caught a wave! While being delightfully creative in design, each hole required us to be a bit imaginative in strategy. Some holes we needed to use the props, some we could move around. Of course, it was more fun to try to use them! The King Toad is quite a whimsical hole! Who wouldn't love the Elephant Bath Tub Time Machine? 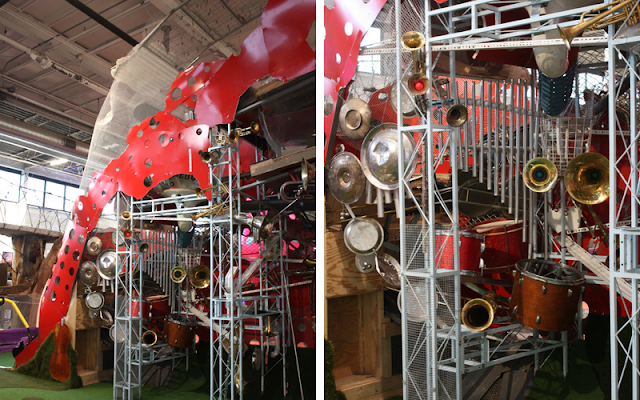 Musical instruments woven into Music Mountain. I also loved the incorporation of instruments in the Music Mountain hole! There were two different sections of arcade games. We smiled when we saw Superman flying above! Plus, check out the wall art behind. 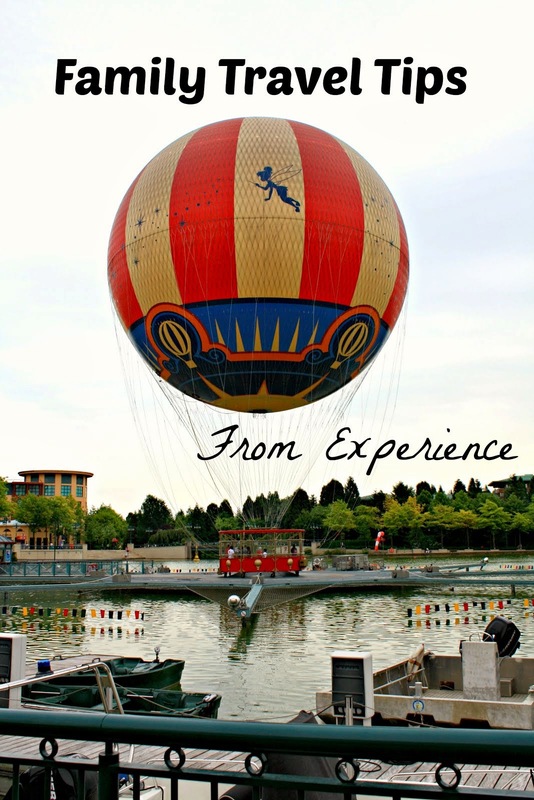 The art threaded throughout Can Can Wonderland added another layer to the experience. Can Can also has live entertainment, karaoke and even had line dancing while we were there. After finishing a round of mini golf, we sat down to enjoy some cold beverages. Can Can Wonderland mixes some interesting beverages both non-alcoholic and alcoholic. As a big root beer fan, I went for a soda fountain glass full of Bittercube Root Beer mixed freshly for me! Pop Life Slush with Pop Rocks! My husband tried the Pop Life Slush which did indeed contain pop rocks! 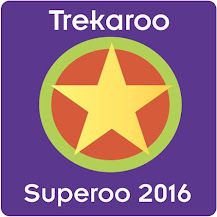 I am sure this is a favorite with the kids! My daughter went for the Secret Double Cherry Kola Slush -- a great frosty treat for a warm day! 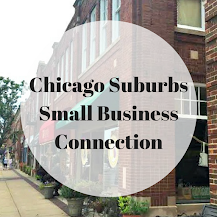 Can Can also has a menu full of fair treats, sandwiches and artisan pizza. We had a blast enjoying mini golf at Can Can Wonderland. The 18-hole course is one of the most interesting that we have played. Each hole is unique and interesting to look at. Playing the holes often took a bit of thinking. We had such a fun evening and found Can Can Wonderland to be an excellent way to spend a hot evening! 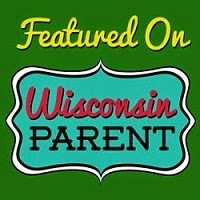 Can Can Wonderland helps support the local arts community. Can Can Wonderland is open Thursday-Sunday. After 9PM, Can Can Wonderland is for those 21 and older. 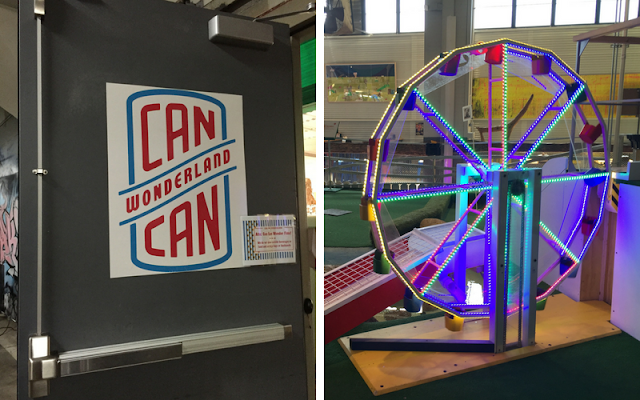 Can Can Wonderland is very close to Roseville, Minnesota making a great excursion while in the area. Such an interesting place, isn't it?! Our family loved this place! Very fun and unique in the Twin Cities. This place looks so fun! I think there's a Pop Life Slush in my future! What a fun, unique place! Love that it was made from artists. And that Pop Rock drink? Awesome!